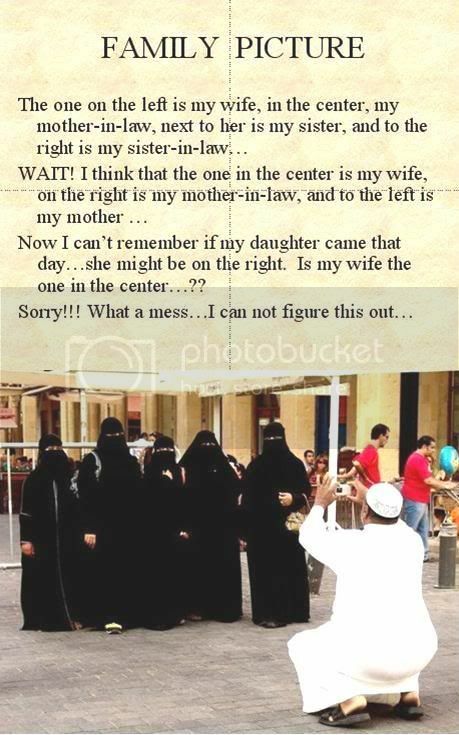 May be all of them are his wife !!! Goodness!!!! Why they still want to take a photo with dresses like cover their body all? There's no face to capture!! !